I freely admit that I pick out the most ridiculous pictures possible for this site. And yes, if I don’t like someone I will spend as much time as I need to looking for that one picture where they are in mid-sneeze or something. Hey, the New York Times does it all the time and they’re practically shitting Pulitzers. But me? No, I’m a jerk. 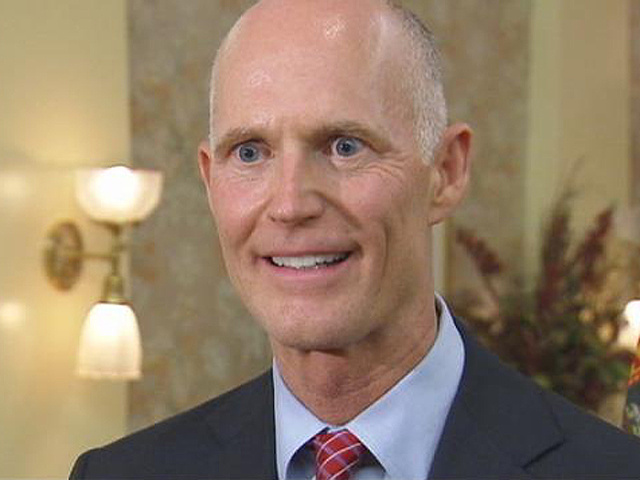 The nice thing about Florida Republican Governor Rick “The Corneas” Scott is that you can choose a picture of him at random from the internet and he will reliably look like he forgot to take his thyroid medication. He has a medical condition of some kind. No joke. Like, I seriously hope the guy gets help because he’s clearly dying. Or turning into a serpent. One of the two.